Are you ready to transform your business? 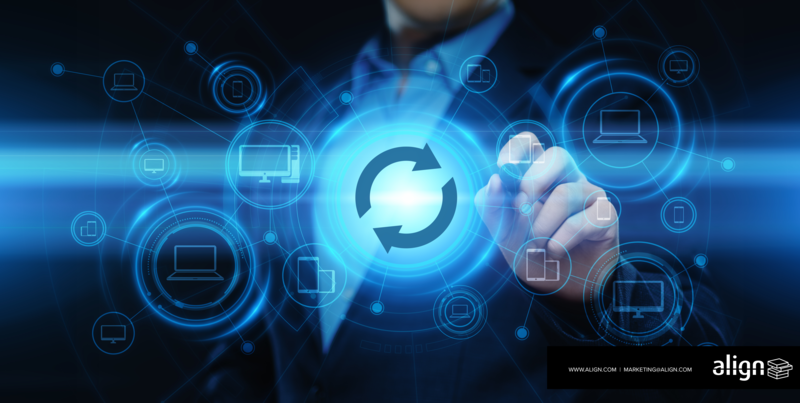 Digital transformation has been a hot topic in corporate circles as technology continues to improve, and companies take a good look at how they can improve their IT infrastructure and transform business processes and activities in order to fully leverage effective technology. However, successful digital transformation goes beyond the scope of implementing new tech. Digital may be in the name, but transformation requires rethinking entire processes and internal cultural norms to be successful. To really define transformation, it’s important to understand what it is (and what it isn’t). Transforming your business sounds exciting, but before jumping headfirst into the latest tech craze and throwing out your old devices, it’s important to have a plan. What’s the reason for your digital transformation? What problems are holding you back, and what will you be looking for post-transformation to show that you’ve solved those problems? An effective transformation will take the scope of problems and goals into consideration, and a good plan will connect the dots with discrete steps that account for your current processes and needs to minimize downtime and keep your employees in the know. Big picture goals are important, but so is a road map detailing specific impacts on areas of business. A digital transformation effort may not ever get off the ground without this structure in place. While it’s easy to say your company is undergoing a digital transformation, it’s much more than a single tweak or a halfhearted commitment. It’s tempting to hitch yourself to the latest buzzy topic in corporate change, but transformations aren’t all talk and no action, and definitely aren’t done by just announcing a new platform or tool and expecting everyone to get on board. True digital transformation is a pervasive process that will affect multiple areas of your company. It wouldn’t be a transformation if everything stayed the same, right? Once you’ve identified your business issues, including process bottlenecks and antiquated legacy workflows and technologies, you’ve created opportunities to challenge and upend those same issues in a meaningful way. Digital transformation highlights your technology problems and room for improvement, paving the way for solutions that will alter and even potentially disrupt day-to-day business operations. Changes can be big or small – perhaps cloud integration will provide a more seamless collaborative environment and thus less time spent tracking down the latest version of a file. Maybe a sophisticated data management system can help you to perform internal audits to more easily satisfy the latest industry-specific regulatory standards. While a digital transformation can help to boost operational efficiency, it can also have a positive financial impact by lowering legacy IT costs. Just as a digital transformation plan can have many steps and considerations, it can also run into considerable roadblocks, and few things can stymie or limit digital transformation as much as low employee buy-in. Digital transformation is an equally cultural transformation as it is an operational one, and the changes you implement are likely to affect most – if not all – of your employees. To unlock its full potential, it’s important to take a holistic approach to the changes required, including department-specific change plans and transparency about the transformation process. Your digital reforms are only as good as the human element that’s at the center of the transformation – don’t leave your own people behind. While the core of a digital transformation is digital, much of the process (and potential pitfalls) exists outside of the digital space. The planning process, the culture and the people are all integral parts of a digital transformation. Proper planning can better identify problems and solutions within the technological framework, and the people seeing their work transformed are crucial to empowering the process at every step. With everything in place in and outside of your digital space, you’re finally ready to transform. ready to move forward? cONTACT US TO Learn more about how ALIGN can help you to determine the innovative and flexible technology solutions that will fit your business needs. Can Your Team Be Tricked by CEO Fraud?